The AIA requires Commerce's United States Patent and Trademark Office (USPTO) to establish two programs to assist small business, which is critical given that small business create two out of every three new jobs in the United States. The “Pro Bono” provision directs the UPSTO to work with IP law associations to establish pro bono programs to aid financially under-resourced small businesses. One such pro bono program exists now in Minneapolis, Minnesota, and a team has been formed to expand the program to other cities across the United States. Meanwhile, the “Patent Ombudsman” provision further directs the USPTO to provide support and services to small businesses related to patent filings and prosecution. The AIA also requires the USPTO to conduct three studies focused on small business concerns. In the “International Patent Protection for Small Business Study,” the USPTO will report to Congress on how to help small businesses secure patent protection in foreign countries, in particular, how the USPTO and other federal agencies may offer financial assistance to defray foreign filing fees such as through a loan or grant. In the “Effects of First-Inventor-to-File on Small Businesses,” the agency will report on the effects to small business of switching from a “first-to-invent” system to a “first-inventor-to-file” system, a change found in the legislation. And in the “Implementation of the AIA Study,” the USPTO will report to Congress on how the AIA is impacting small business access to capital. Finally, the AIA includes favorable financial provisions for small businesses. It maintains the existing 50 percent discount on fees for small entities. This means, for example, that a small business that meets the definition of a small entity can secure prioritized examination at a reduced cost of $2,400 instead of the normal $4,800 fee. Further, the AIA establishes a new micro-entity category, and with it, comes a 75 percent discount on fees. The 75percent micro-entity discount will not, however, be available until the USPTO sets or adjust fees in 12-18 months. In sum, the AIA benefits small businesses—legally, altruistically, and financially—and the USPTO is energized to implement the new patent law to bring these favorable benefits to small businesses. 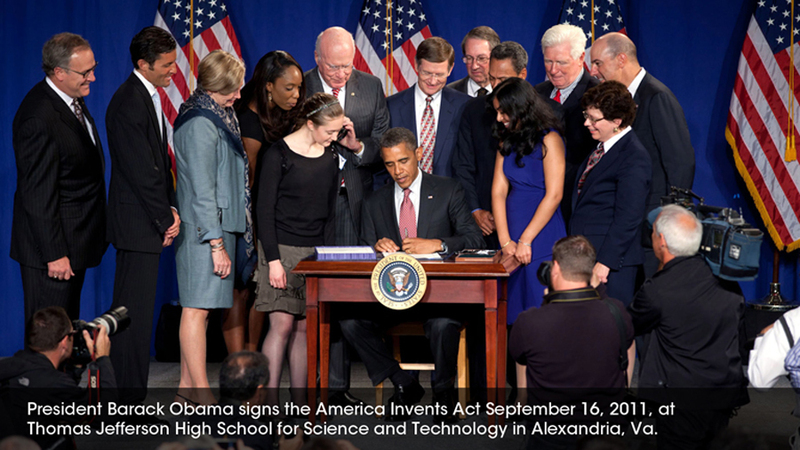 Learn more about the America Invents Act and how the USPTO is implementing the new law at http://www.uspto.gov/AmericaInventsAct.